This morning I woke up to the sound of thunder, a clear sign that the temperature is going up. So this is my final post of old projects that I haven’t gotten around blogging about until now. Stay tuned for summer attire! Let’s start with the Bruyère from Deer & Doe. 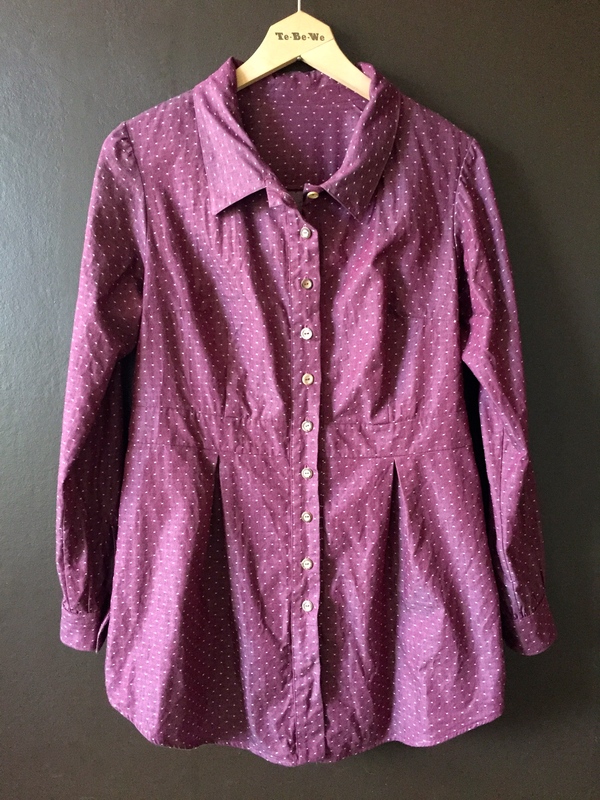 I knew I wanted to make this shirt from the first time I saw it, I love the shape and look. Sometime this autumn I placed a rather large order from fabric.com, it may or may not have all started from my need for this exact fabric. 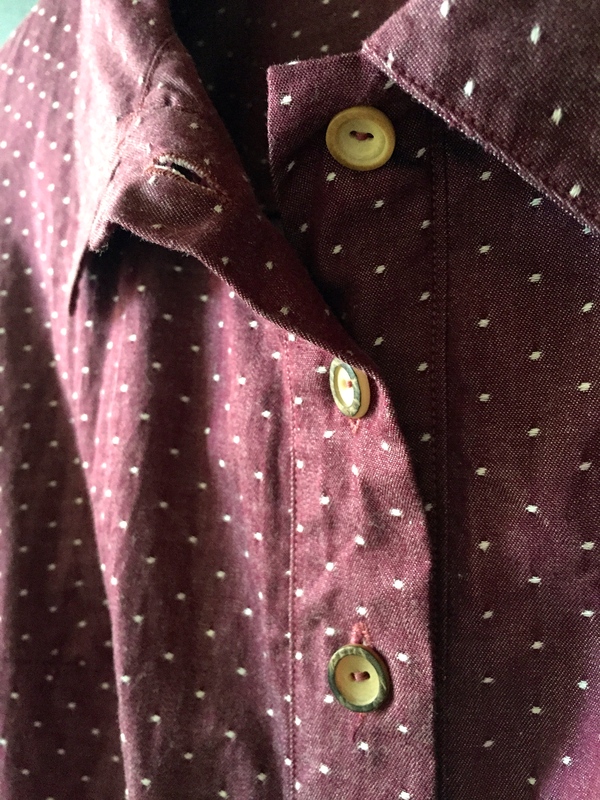 Burgundy Chambray with dots, I had to have it when I found it and was not disappointed when I finally got it in the mail. It was one of those fabrics that you just have to look at and feel several times a day for weeks before you dare cut into it. Or is it only me that does that? For this project I was lucky enough to get expert advice from my mother. This was the project I made for the sewing weekend my mom and sister and I had to celebrate my birthday (which means this shirt is 6 months old now, yeez). 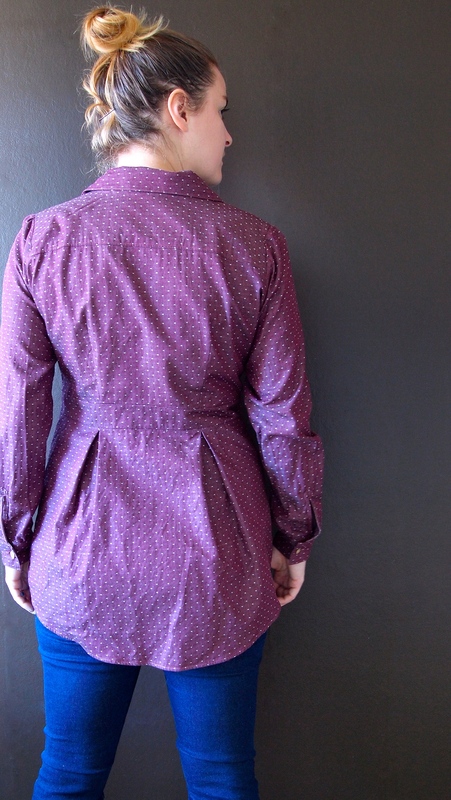 I made a toile of the upper front and back and Mom helped me make some adjustments, mostly in the back. 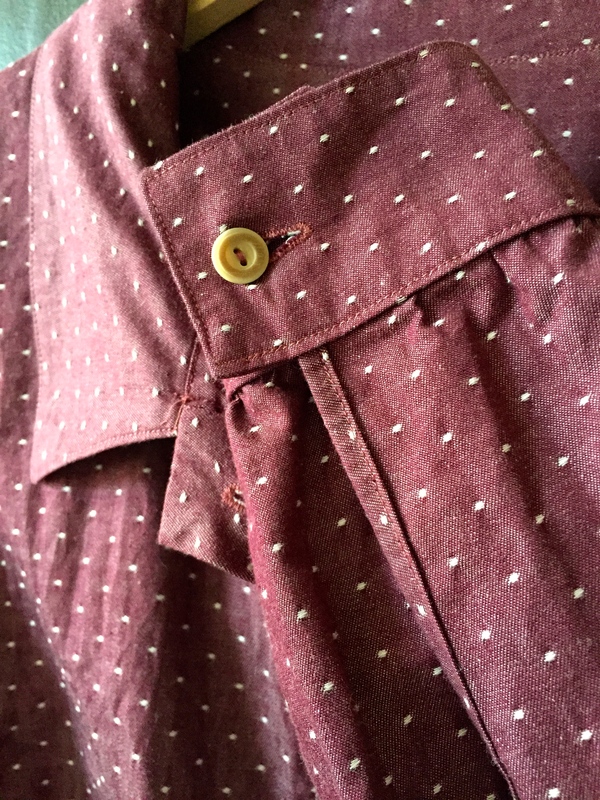 The weekend sewing was a great way to really concentrate on one project and go through all the steps with precision. 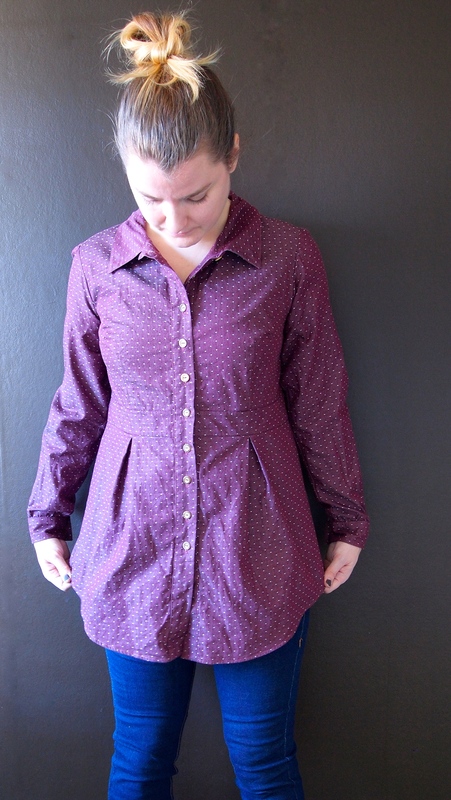 All the work paid off and this is my most advanced sew yet as well as my favorite garment of 2014. By the way, sorry for the different colors in these photos! Moving on to some Lindens and some jeans! Last year I got absolutely addicted to sewing jeans. I felt like there was something missing anytime I didn’t have any denim fabric or golden topstitching thread in my machine. These are the first of several pairs I have made since then. It all started one night when I was at a member night at Stoff & Stil. They had a lovely fashion show and mingling and stuff but in all honestly I just went to have all that extra time browsing through all the fabrics. I can’t remember if I bought the denim or the pattern first but they both went home with me that night. This is the pattern and I don’t know about the fabric but I wouldn’t recommend it anyway (more about that later). The great thing about Stoff & Stil patterns is that they are already cut out in your size on fabric-like paper so you save a lot of time. The not so great thing is that you have to buy every size separately and can’t easily grade between sizes. Also, the pattern pieces aren’t marked so if you have a pattern with many pieces you have to spend some time marking them up correctly. 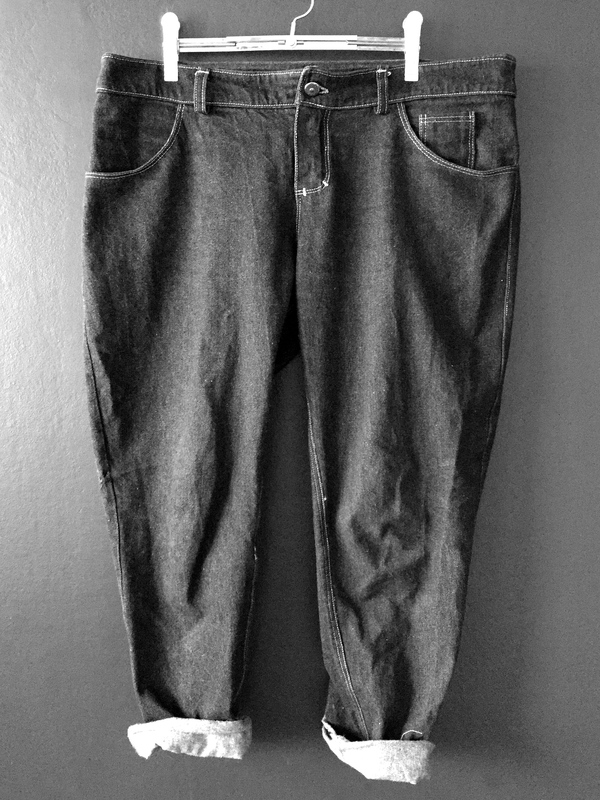 The reason I wouldn’t recommend this denim is that it bagged out a LOT after some wear. When I first made them they were slim fit and were pretty snug, now they are more like boyfriend or baggy jeans. This fall was also the season of loads of Lindens from Grainline Studios. 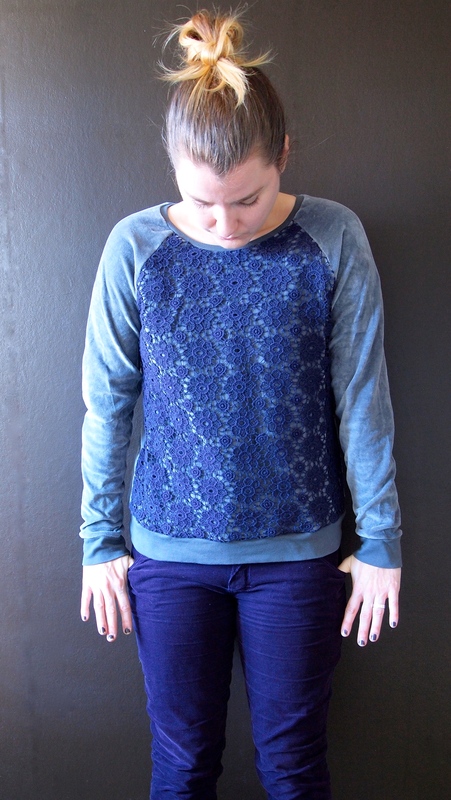 This is a really easy raglan sweater pattern that you can whip up in a night or two. 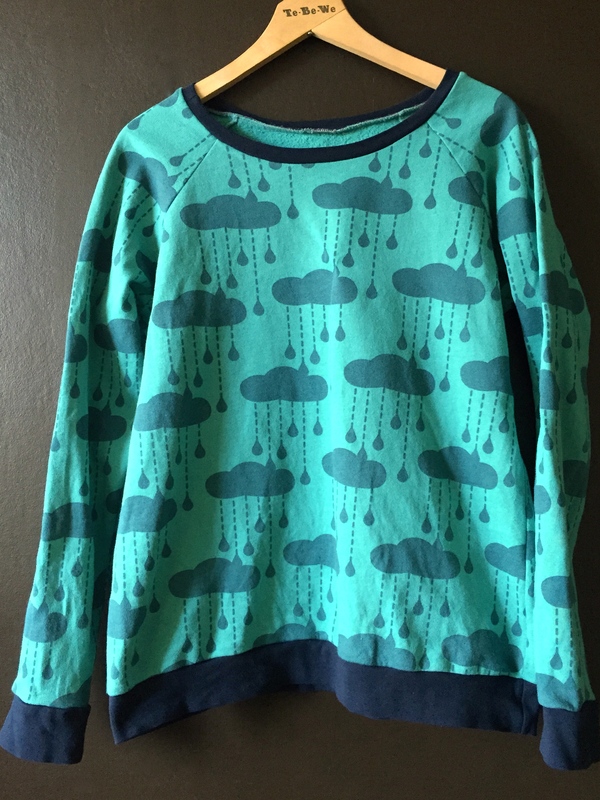 This version is made out of this organic sweatshirt fabric. 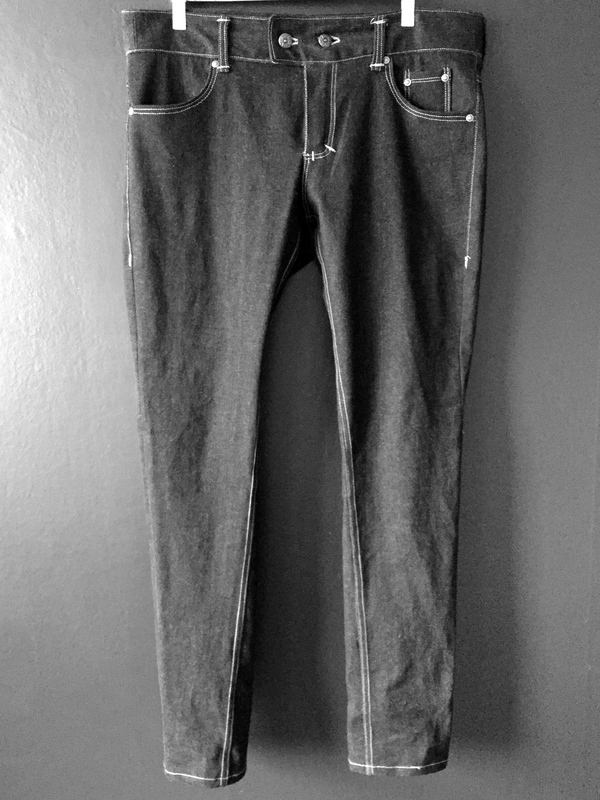 After my first pair of jeans I wanted to try to make some stretch jeans. 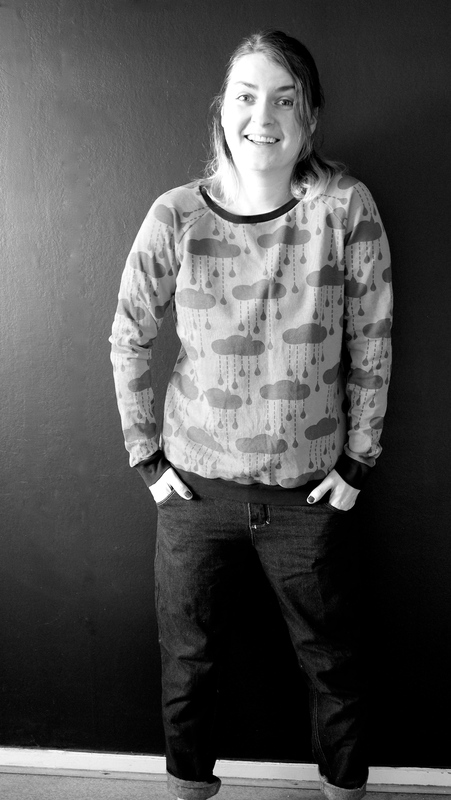 I got the fabric on my trip to Copenhagen, also from Stoff & Stil. This fabric was so much better though, although I don’t love the color. 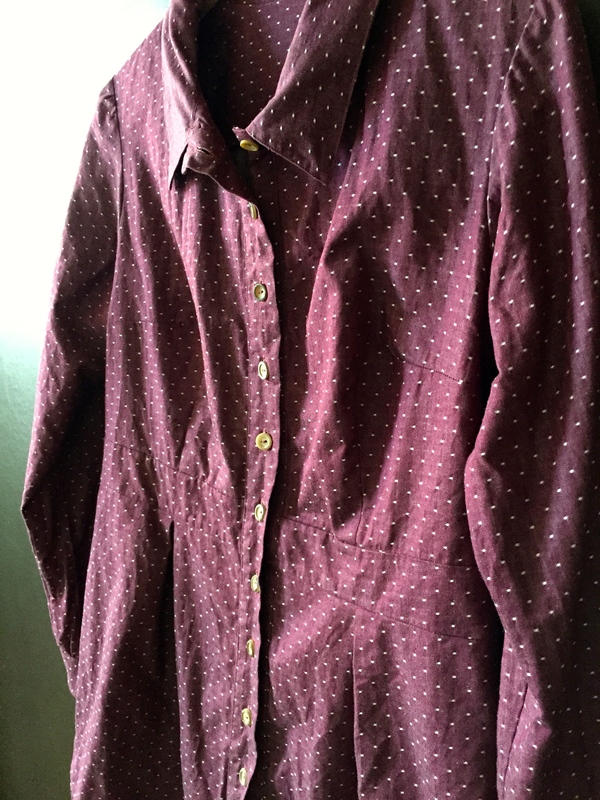 The pattern was from Ottobre number 5/2014 and worked out really great. I did adjust the waistband by adding a few centimeters (my waist is not proportionate to my hips) of length. This was needed so I could even button the jeans. I ended up adding an extra button too that ended up giving the jeans a more secure feel up top. 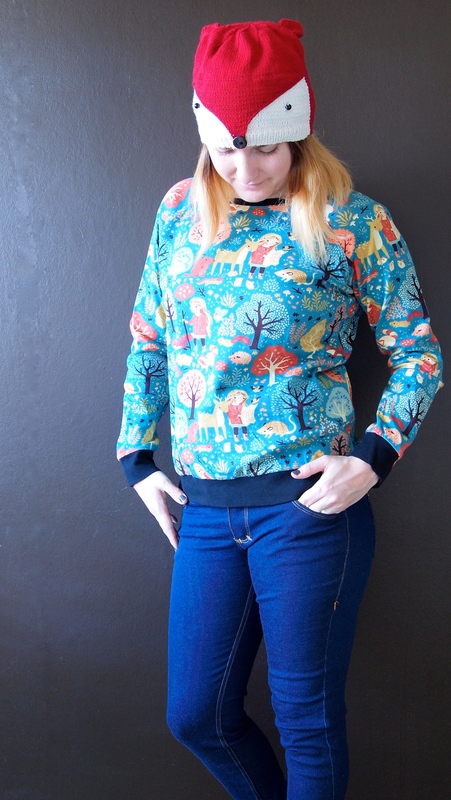 The sweater is another Linden in a fabric also from Fabric.com. 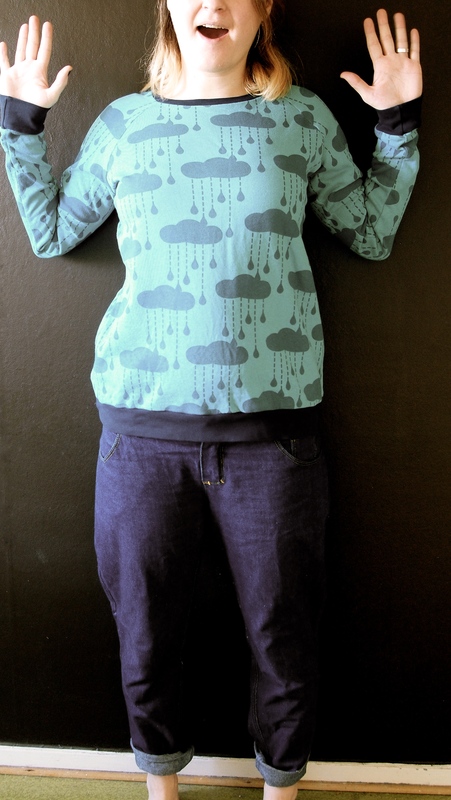 It seams to be sold out now but it is a Birch Organic Trail Knit similar to this. 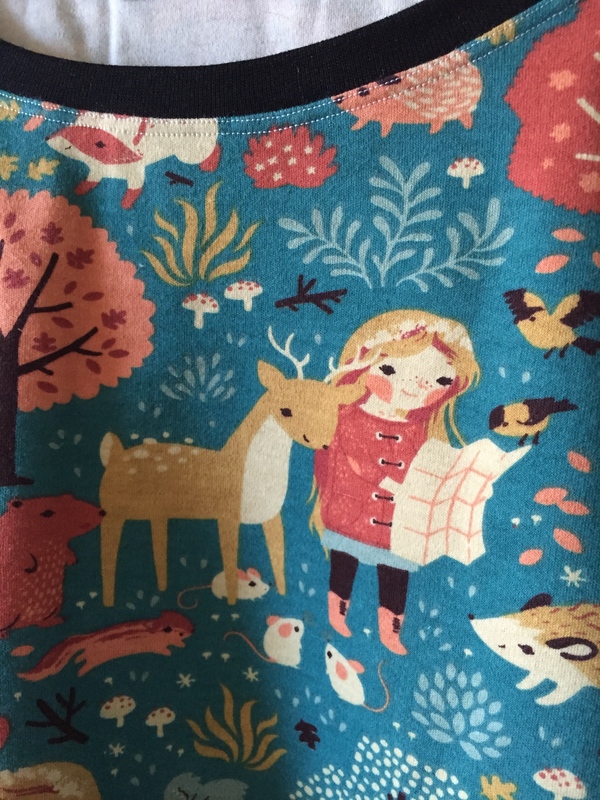 I bought this fabric to make t-shirt like tops but when I received it and felt it I decided it was more suited for a sweater. 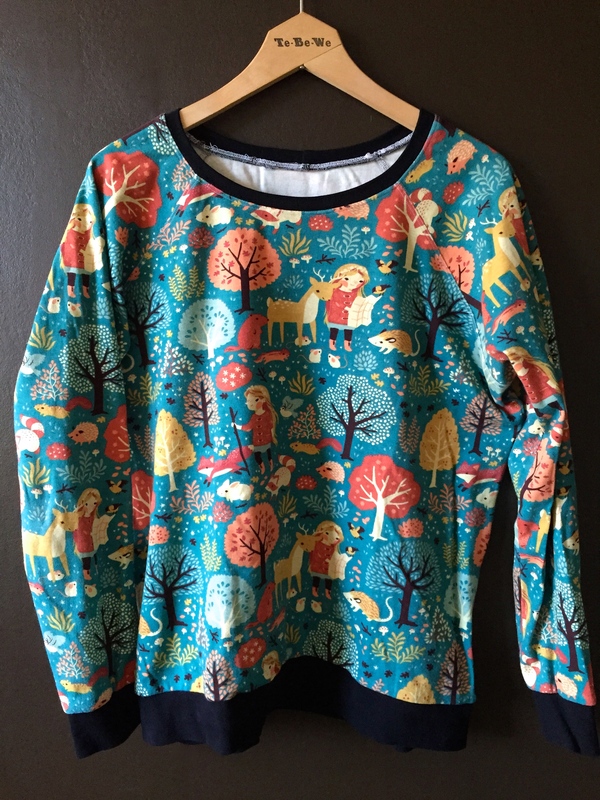 I made a T-shirt for P in another Birch fabric and that worked out but they aren’t the kind of knits that work for my t-shirts. My sister knitted my nephew (who was around 2 at the time) a really cute fox hat. Let’s just say I got jealous and asked her to make me one too 🙂 Then she made matching gloves that I got for Christmas! I might look like a kid myself wearing these but I love them. Thank you L! 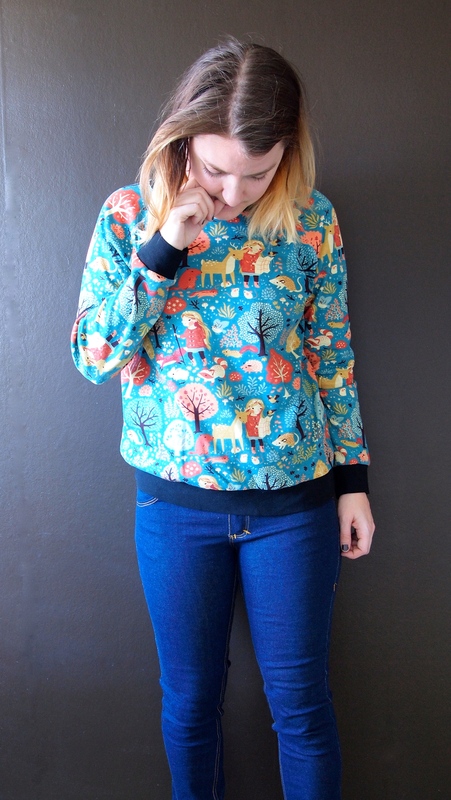 This is yet another Linden that was totally inspired by this version that was featured on Indiesew. The grey is a stretch velour and the purple is a cotton lace. To add the lace i just lined up the the two front pieces (one lace and one velour) and serged them together before assembling everything as usual. I made the corduroy pants in this picture too but I can’t remember what pattern I used. I think it was the same one as my first pair of jeans. The weird thing about this fabric is that I thought it had stretch in it when I bought it, cut it and sewed it. It was first when the pants where pretty much done that I realised that they weren’t stretchy at all. So these aren’t that comfortable and bag out quite a bit. I wanted to add these pictures next to each other because I think they look so funny when compared. Looks like they were made for two different people! 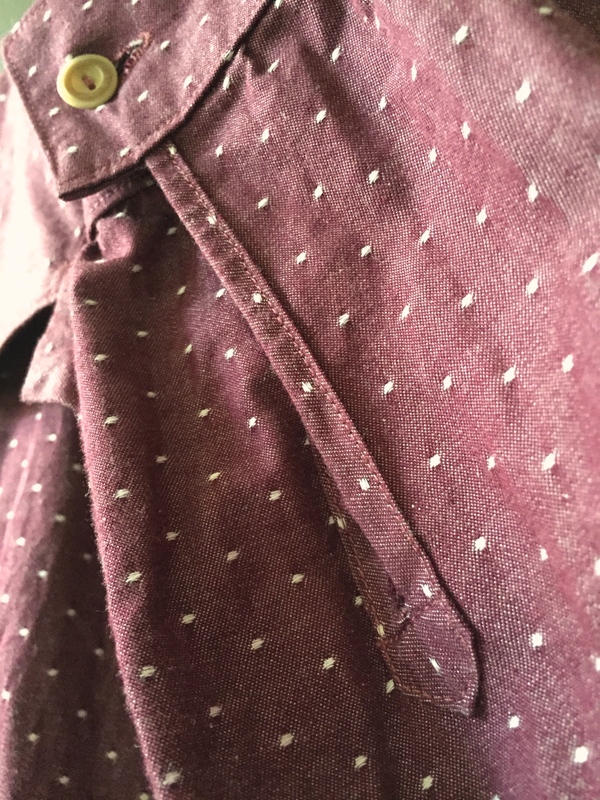 Here you can see the extra button I added on the waistband of the stretch jeans. Is anyone else as behind as me on their blogging? What are you making for the summer? Categories: Deer & Doe, Grainline, Home Sewn, Jeans, Knitting, LyllosMig, Pants, Sweaters, Tops, Uncategorized | Tags: Bruyére, Jeans, Linden, Sweater, Sweatshirt | Permalink.